We have provided a general list of documents that you will need to prepare prior to your journey. Please bear in mind that there may be some additional documentation required depending on the country you’re from, so double check these requirements with your travel agent. We also advise that you send off your documents well in advance, which should give you ample time to rectify any problems that may potentially arise. Passports being lost by the Saudi consulate or being issued to the wrong travel agent, for instance, is not unheard of. If something like this does happen, please exercise patience. Hajj and Umrah visas can only be arranged by a licensed travel agent. Your travel agent will send your visa application to the Saudi consulate on your behalf along with your passport and other required documentation. The visa will then be issued by the Saudi consulate. Visas for all first-time pilgrims are free. Validity of the visa starts from the date of issue. The application must be filled in using black ink and block capital letters. The statement at the end of the application form must be carefully read and signed. The form must be signed and stamped by an authorised travel agency. A visa application form can also be obtained by post from your nearest Saudi Consulate. Hajj visas are issued from 15th of Shawwal (first day for acceptance of application forms) until 25th of Dhul Qadah (last day of acceptance). Normally, Hajj visas are processed in 2-3 days although this can take 1-2 weeks if the application is made late. Umrah visas can be issued for a period of 8 months between Safar and Ramadan. The last day for acceptance of Umrah application forms is the 15th of Ramadan. The Umrah visa is valid for 30 days. Once your visa has been issued, you have 30 days to enter the Kingdom of Saudi Arabia. Once you have entered, you can stay in the country for a maximum of 30 days. Please confirm this with your travel agency before booking as the Saudi Hajj Ministry sometimes reduces the stay validity to 15 days, particularly during the months of Ramadan and Shaban. If you have performed Umrah within the last 3 Islamic years, you will need to pay an extra 2000 SAR (about £420 in the UK or $530 in the US) as well as the administration fee for the Umrah Visa charged by your travel agent. Enter your passport number here to check whether you have to pay this fee. The Saudi Arabian government stipulates that your passport must be valid for at least 6 months beyond your date of departure. If it’s due to expire within this period, ensure you extend it or apply for a new passport well in advance. Please contact the relevant passport issuing authority in your country for more information. It normally takes a few weeks for a new passport to be issued or extended, unless you can take advantage of a fast-track service that expedites the process. If you’re not a citizen of the country that you’re a resident in, the same rule also applies and your travel agent should be able to inform you of any additional requirements. Make photocopies of your passport, keeping them separate from the passport itself. Mark your passport with something that will help distinguish it in a pile of passports, such as tape on the edge of your passport. You’re required to provide a recent passport sized photograph with a white background. The photo must be a full-face view rather than a side or angled view. Your travel agent may ask you to provide more than one for any additional documentation, for example for the group ID card. Take some additional photographs with you to Saudi Arabia (at least four) – these may be needed for documents and procedures when you’re there and could save you the hassle and expense of having it done in an unfamiliar place. All pilgrims from all countries must produce a valid certificate of vaccination against quadrivalent (A/C/Y/W135) meningococcal meningitis. This certificate must be signed by an authorised medical professional. Proof of vaccination must be submitted no less than 10 days prior to your arrival in Saudi Arabia. A visa won’t be issued without this certificate. Keep the certificate with you while you’re checking out otherwise you may not be allowed to board the plane. Keep the certificate with you at Jeddah airport as it may also be checked there; you may be given another vaccination if you can’t produce the certificate. Women must be accompanied on Hajj or Umrah by a spouse or Mahram. Proof of relationship, such as a marriage certificate or a birth certificate must be provided. Women over the age of 45 may travel with an organised group without a designated Mahram, provided she is given signed permission from her Mahram authorising her to travel with the group. For children under the age of 18, a birth certificate which includes the names of both parents is also required. The Mahram must specify any individuals he is travelling with on his application form and must be on the same flight as his wife and children when entering and leaving Saudi Arabia. 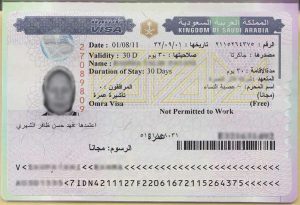 A round-trip ticket to Saudi Arabia with confirmed reservations is required prior to a visa being issued. 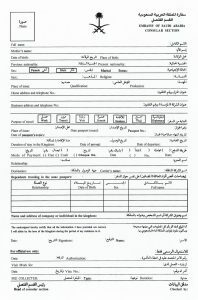 If you’re going on Hajj, a payment in the form of a banker’s draft/cheque needs to be made to the Saudi authorities who are responsible for your internal travel in Saudi Arabia and accommodation in Mina and Arafat. These drafts are normally factored into the price of your package and made on your behalf by your travel agent. Two cheques made payable to “United Agents Office” in Jeddah need to be submitted. One cheque is for the bus services and the other is for the accommodation in Mina and Arafat. One cheque can be submitted by combining both fees. Cheques should include your name and passport number as well as the date and place of issue. Drafts aren’t required for children under the age of 7. Children between the ages of 7 and 15 pay only half the amount. You can check the latest draft charges by contacting the Saudi consulate in your country. Drafts aren’t required for Umrah. If you have recently converted to Islam, you may be required to submit signed certification issued by an acceptable Muslim authority, such as the Imam of your local mosque, to verify that you’re Muslim. 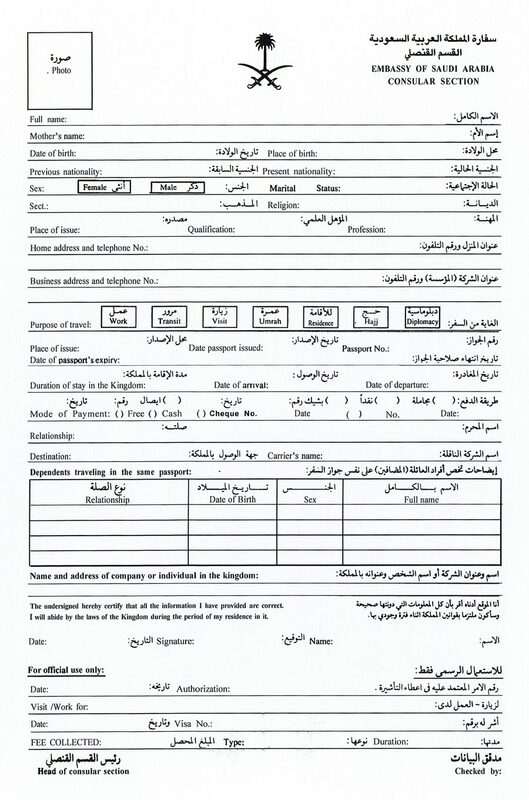 Since non-Muslims can’t enter Makkah and Madinah, this document is of vital importance, particularly if you don’t have a Muslim name on your passport. Your travel agent should be able to provide you with further details regarding this. It is a duty of a Muslim who has anything to bequeath not to let two nights pass without including it in his Will. A will provides instructions on how your wealth should be distributed in the event of something untoward happening to you during Hajj. If you decide to bequeath something charitable in your will, it will be regarded as Sadaqah Jariyah (ceaseless charity) and will continue to benefit you even after your passing. You may also wish to stipulate where you’d like to buried in the event of your death during Hajj. It is certainly a great honour to be buried in close proximity to the Prophet ﷺ in Jannat al-Baqi and is something that can be arranged with your prior consent in your will. Consult a solicitor / attorney if it’s a complicated will. Store it in a safe place at home and inform trustworthy family members of its location. Provide a copy to your solicitor / attorney.